Wet rooms are an increasingly popular addition to modern builds thanks to their universal appeal as stylish, versatile and spacious bathrooms. Interior designers have been recognising their value as a luxury addition to a new home for many years, but wet rooms also fulfil a much greater purpose. They are the perfect example of a bathroom that conforms to the highly regarded principles of the Lifetime Homes Standard. The Lifetime Homes Standard is a set of principles that refers to an ‘Inclusive Design’ of housing – one that provides maximum utility, independence and quality of life for individuals of all ages and abilities, without affecting aesthetic value or cost-effectiveness. Established in 1990 by a group of housing experts – including the Habinteg Housing Association and the Joseph Rowntree Foundation – it comprises of 16 Design Criteria that can be universally applied to new homes. These outline flexible, cost-effective design solutions that can ensure new homes are accessible and convenient for a wide range of households. The homes aren’t ‘special’, but have been designed with care and thought to create and encourage a better living environment for everyone. From raising small children, coping with illness or dealing with reduced mobility in later life, Lifetime Homes help families to manage the ups and downs of everyday life in a practical living environment. The beauty of a wet room is that it can be used by anyone regardless of their age or mobility. Wet rooms are spacious, open plan, level access bathrooms that don’t have any trip hazards and allow for easy entry into and out of the showering area. They can be installed anywhere within the home on a timber or solid floor and with effective wet room drainage and waterproofing systems installed, will provide optimum functionality and longevity. A Lifetime Homes Standard bathroom can easily be customised to adapt to the changing needs of homeowners. A capped off waste pipe underneath the bath enables a wet room to be installed should the homeowners require it in the future. Support rails and shower chairs can be installed with little hassle and tiles with extra grip should be considered to keep down the risk of slipping. (It’s important that wall tiles are not used on the floor as they don’t provide a good non-slip surface underfoot). Whatever your needs or requirements in the bathroom, a wet room is guaranteed to be a highly versatile and valuable asset in your home for many years to come. At CCL Wetrooms we’re experts in the design, manufacture and supply of wet room drainage and waterproofing solutions. We understand the importance of wet rooms as versatile bathing environments for individuals of all abilities and ages, but we also recognise the expectation of balancing this functionality with style and design innovation. 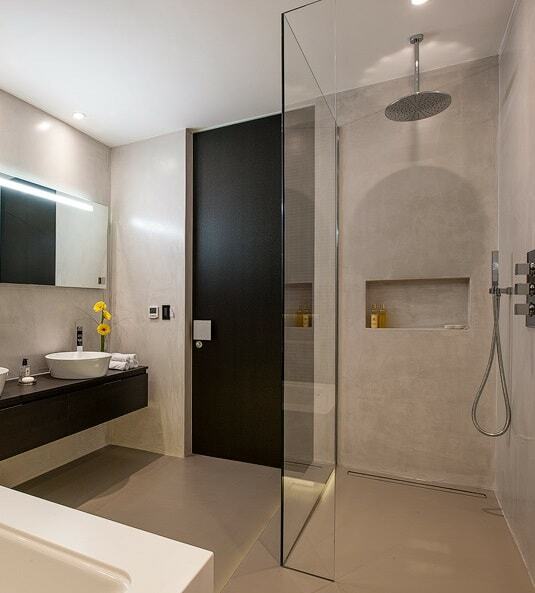 Contact us to find out more about our services and how we can help you design a stylish, contemporary wet room that will meet the principles of a lifetime home bathroom.